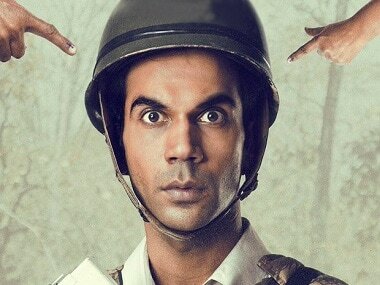 Amit V Masurkar's black comedy Newton, starring Rajkummar Rao in the lead role, has maintained its position at the box office throughout its opening week, despite competition from two big ticket films - Omung Kumar's revenge saga Bhoomi and Apurva Lakhia's crime biopic Haseena Parkar. Newton released last Friday and opened to Rs 96 lakh, a decent opening for a small budget film. However, the very same day, Rao broke the news on Twitter that his film has been selected as India's official entry for the Best Foreign Film category at the 90th Academy Awards. Newton was selected as India's pick over big budget films like Nitesh Tiwari's Hindi sports biopic Dangal and SS Rajamouli's Telugu war epic Baahubali 2: The Conclusion, which added to the buzz of the black comedy. The result was a 165 per cent box office growth on Saturday. From Rs 96 lakh, the film skyrocketed to Rs 2.52 crore on its second day. The growth continued over the weekend as Newton garnered Rs 3.42 crore on Sunday. The film encountered a dip on Monday but still managed to rake in Rs 1.31 crore. Since then, Newton has managed to stay put around the same mark, ensuring a constant position at the box office throughout the week. Trade analyst Taran Adarsh tweeted that the film's opening week collection stands at Rs 11.83 crore. As far as its competition is concerned, The Indian Express reports that Shraddha Kapoor's Haseena Parkar garnered Rs 6.10 crore in the first four days of its release. Another report by the same publication states that Sanjay Dutt's Bhoomi collected Rs 7.48 in its opening weekend. Given the minuscule budget of Newton when compared to the other two big releases, Rao's film has done an excellent job at racing ahead of both Haseena Parkar and Bhoomi. 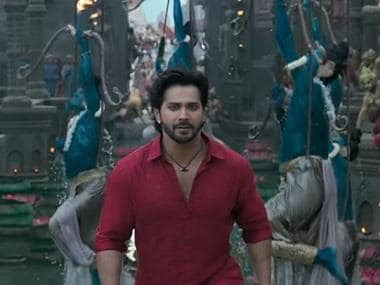 However, its momentum is likely to reduce on Friday post the release of David Dhawan's much-hyped comedy Judwaa 2, starring Varun Dhawan in a double role.